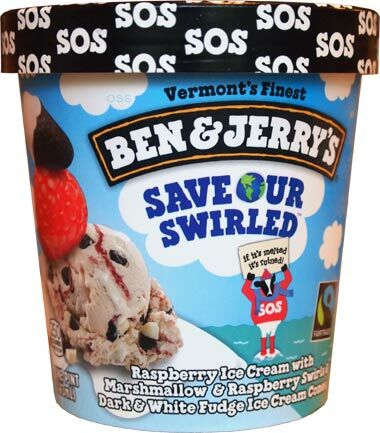 [New for 2015] When Ben & Jerry's announced the Save Our Swirled campaign in March, were you expecting a tricked out Tesla or a new flavor? Or maybe both? Well, it took a little while, but we now have a flavor that goes along with fighting climate change. "If it's melted, it's ruined!" It almost looks like a raspberry and vanilla swirl ice cream at first. Nice, I can already see marshmallow and raspberry swirl poking out. I scrape the lid (for sampling purposes) and get a nice (black) raspberry flavor. I take a few bites from the pint and this one is definitely sweet. Actually, it's probably the sweetest B&J flavor I've had in a very long time. This is not a bad thing. I just got a nice solid chocolate chunk, white chocolate I think? And there's another chunk. It has a nice fun crunch to it.... whoa, yeah, definitely dark chocolate dryness on the back end of that one. (note: I think I got a rogue broken dark fudge only bite here because this dark note never happened again). Marshmallow puddle! Tastes just like fluff! Wait a minute.... BAHAHAHAHA. Best looking mix-in EVER! We've had a few contenders, but yeah, that's just awesome. I love it. It may seem like a gag, but come on, I love when companies take the time in to go that extra step, and that's a doozy in my book. What? Come on now.... FUN FACTOR! Ok, I've been messing around way too much and my pint is getting pretty soft on the edges. 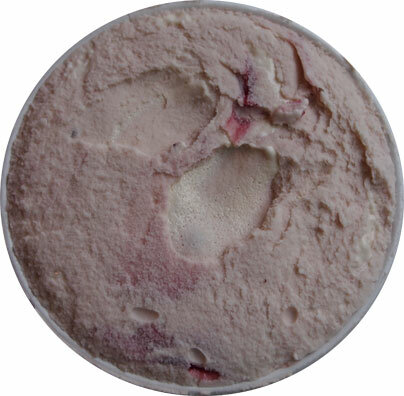 I scoop up a few melting puddles of frozen sweet raspberry excellence and take a break. Ok, initial thoughts. I like it. I like it a lot. It's sweet, flavorful, and not too REAL on raspberry. I don't like the woodsy nature of Talenti's black raspberry, instead I want sweet black raspberry like the Friendly's version I grew up on. 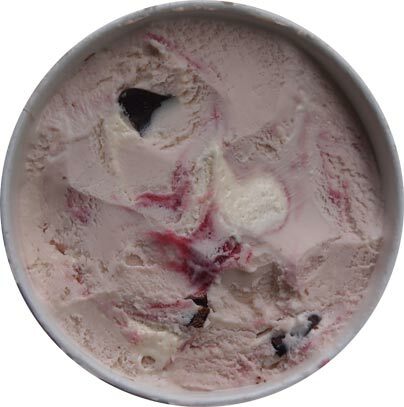 On the flip side, I wanted something way stronger than the oh so mild raspberry/vanilla swirl in their DMB flavor. This is a nice compromise. Well done, not too weak, not to non-icecreamy. Can't wait to have more later. On Second Scoop: It's now later and I've had my dinner, time for dessert! I definitely love the visuals of this one. Mmmm, tasty! If you are a fan of a good fruity base with bursts of flavor, than this one is for you. 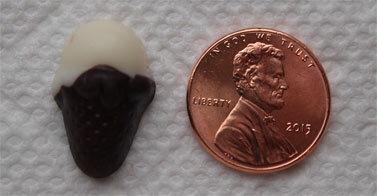 The bursts can get pretty strong, but then you get get a fudge cone and that burst makes the white fudge come alive. It's really cool. Speaking of cones, there is definitely a bit of fudgy grit to the texture once they soften a bit on your taste buds. It's a nice, interesting touch to spice things up. I like the sweet marshmallow too. 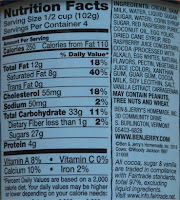 You'll never taste it directly, but it enhances not just the sugar levels but the flavor's overall complexity as well. Plus it goes great with the white fudge, they play really great together. There's a lot of diversity going on here while still staying in the same frame of reference. I definitely approve, it's just such a nice unique addition to their line up right now. This is what I expect from Ben & Jerry's and they delivered big time. Buy a pint, or, better yet, buy seven pints because that will cut down on the emissions released from you driving back and forth to the store for more! *Note: I struggled to put the last third of this pint back in my fridge. Must resist. MUST RESIST. Brewed to Matter review ASAP! 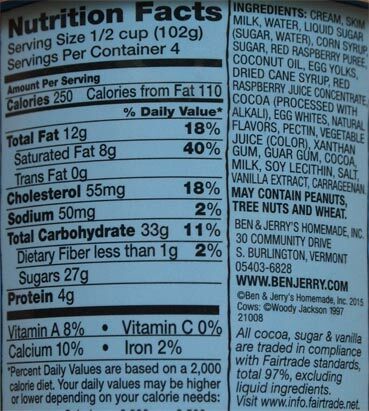 I wish Ben & Jerry's would put out more sweeter flavors like this one. Everything is PB, chocolate, etc. btw I hate the "cones". I'd pick them all out first if I could. hey, it's your pint of ice cream, you can do what you want, but can I ask what in particular you hate about them? is it the taste or the texture? or both maybe? I'm usually lukewarm about chunks in ice cream in general, and I don't like hard chunks. Apart from pie pieces/cookie doughs, if I need to chew it, 99% chance I won't like it. This is also one of those scenarios where I don't think the chunks add anything to the overall flavor. Went to Walmart to find this flavor and no luck the last two trips. And our Walmart usually gets everything. So this last time I decided to just call the storefront and ask for help in the frozen section. When he gets there, I tell him what I'm looking for and he responds, "Oh we've had that in the back for at least a week. There's just no shelf space for it yet." Ha! Lesson learned. You don't ask, you don't get! @Darrell: the curse of waiting for stock to rotate!